How To Bulk Up Fast - Without Getting Fat! This is the simplest advice you can use to BULK UP FAST without getting fat at the same time! Read on as I describe what weight gainer works and what doesn't. Grow big without the fat. This is the simplest advice you can use to BULK UP FAST without getting fat at the same time! I used the same formula when I lived at home with my parents and gained over 50 pounds of muscle mass over the course of a year. My Mom was a tough negotiator and only agreed to shop for my breakfast, lunch and dinner. If building muscle was as easy as stuffing 8,000 calories of pizza, fries and burgers then I don't think anybody would have a problem gaining huge muscles. Those three meals covered about half of my caloric intake getting me close to 3000 calories each day. My meal plan required a consumption of four to five thousand calories so I was still a few thousand calories short from new muscle growth. If you are like me and work 8-12 hours a day then it is easy to become apart of the 'Lame Blame Club' that defaults to the most convenient excuses in the book. If you are trying to build more muscle mass than you must have a easy strategy to get in those extra 1000-2000 precious calories that you are missing. Too bad it's not as easy as picking up a box of five dollar pizza or four cheeseburgers on your way home from work to make up those extra calories. Actually, it is that easy, if you believe that a calorie is a calorie. If building muscle was as easy as stuffing 8,000 calories of pizza, fries and burgers then I don't think anybody on this planet would have a problem gaining huge muscles! The extra calories I am going to recommend are based on clean calories. These extra calories are for the guys who want to build slabs of new muscle without a fat gut, love handles and a double chin! Most mass diets wreak havoc on your health because they are based on unclean calories. Sure you climb the scale quickly but you also run the risk of other health problems associated with poor diet. Will your time in the gym offset these health problems associated with carrying too much fat? A little, but not much, and not in the long run. Right now your body needs a certain number of calories to grow. Let me ask you a simple question. Are you as muscular as you want to be right now? Yes. Then keep doing what you are doing! No. Then most likely your body needs a strategy to ingest an extra 1000-2000 calories per day. How are you going to do that? 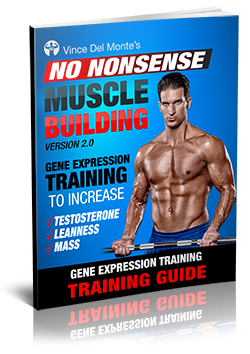 Gene Expression Training To Increase Testosterone, Leanness & Mass! Most guys resort to weight gain shakes. The weight gain shakes at health food stores are usually made with very poor protein quality and loads of sugar. Not good, but the idea of a weight gainer shake is an excellent one. Liquid-calories are easy to consume and ideal for in between meal feeding. But you got to make your own unless you want to look like a pregnant powerlifter! The Home Made Weight Gainer Is The Answer! As you can see, this adds up quickly to over 800 clean calories and they are all healthy foods. You will notice that these shakes have no junk sugars and no 'bad' fats. So for all those whiners who complain that they can't get enough food each day - throw that excuse out the window. You now have a solution. If calorie counting is not your thing then simply monitor the number of cups, scoops and tbsp. I would suggest starting with portion sizes of 1 for everything while the 40-60 grams of protein always is consistent i.e. 1 cup, 1 scoop and 1 tbsp of the above ingredients and than build to two and three where recommended. These shakes are completely flexible and you are in control of how much weight you gain and at which rate. Don't be surprised if the volume of the these shakes make you part with your wash board abs and result in canceling your Calvin Klein photo shoots. Throw a couple of these shakes into your daily meal plan and you'll fill that gap towards new muscle growth. No drive through required! Remember, the title of this article was how to bulk up fast, not how to stay lean all year. I believe that bulking up is the most effective way to gain mass muscle. Taking the stay lean all year approach might help you build 5 pounds of muscle a year if you're lucky but taking the bulk up like you mean it will help you skyrocket 20-30 pound or more and actually make you look like someone who lifts weights! Which one do you want? 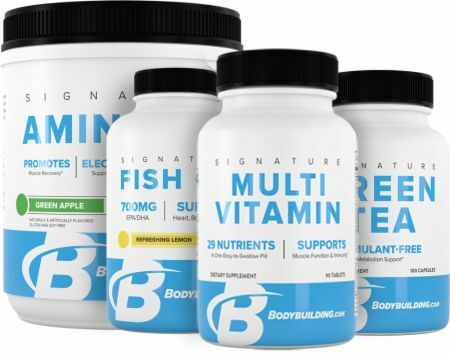 Try out this all-day system for fat-loss support! Naturally skinny guys need to play by a different set of rules and my mission is to empower and inform each client to reach their true potential.